Chelsea fell hard on their face on their latest trip to Wembley as Tottenham Hotspur condemned Maurizio Sarri’s ‘project in progress’ to a crushing 3-1 defeat as Pochettino’s side put an end to the unbeaten run of the Blues. That Chelsea had enough problems in their personnel and their adaptation to Sarri’s system was evident in their games against Derby County and Everton, but all their shortcomings materialised in full blow as Spurs took control as early as the eighth minute. An early routine set piece caught Kepa Arrizabalaga off guard as Dele Alli’s header brought the Wembley roof down – the Chelsea defence were caught ball-watching and it was only a sign for things to come. 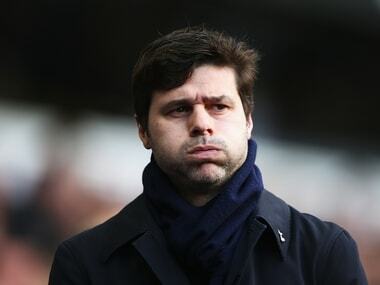 Mauricio Pochettino had fielded a 4-3-1-2 in a surprising switch of formations with Dele Alli slotting in behind both Harry Kane and Christian Eriksen; and the young English midfielder wreaked havoc on the floundering Chelsea backline. Alli weaved in and around Chelsea’s defensive lines with a level of slick fluidity not seen among Spurs in the recent games – Pocchettino’s men were at their finest, pressing high up the pitch and crafting offensive measures at a pace which frightened Chelsea out of their wits. If Alli’s early opener was simply due to the poor positioning of the Chelsea defenders, Tottenham’s second came from an inexplicable moment of numbness from David Luiz. Harry Kane, about thirty yards away from the goal, chose to try his luck with a powerful shot, and much to the surprise of Kane and everyone else in the stadium David Luiz chose to waver away from the flight of the ball, allowing Kane’s shot a free passage into the Chelsea net past a wrong-footed Arrizabalaga. It wasn’t Luiz’s first instance of fumbling in the game and it very well wasn’t the last. The Brazilian showcased a demeanour of taking a stroll in the park on a warm evening, his casual reactions to Spurs’ attacking onslaught a genuine cause of concern for Sarri. “The defensive phase today was a disaster. I am not talking about the defensive line but the (whole) defensive phase. The offensive players pressed very badly, the midfielders defended not very well and the defensive line, as a consequence, was a disaster. The defensive phase of the team was a disaster,” Sarri did not mince his words after the game, but it was equally baffling as to why the Italian did not make any changes to his 4-3-3 formation and the primary offenders David Luiz and Jorginho were on the pitch for the entire ninety minutes. An expert recycler of possession, since his arrival in England, Jorginho has been repeatedly caught out of depth on occasions when the opponent has pressed in numbers and his inability to effectively shield the backline has further destabilized Chelsea’s defensive solidarity, as was the case against Tottenham. 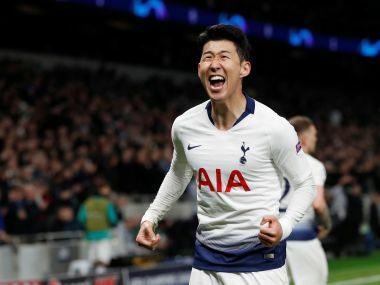 One of the marked examples of Jorginho’s ineptitude against fast, direct forwards came in the 54th minute when Son Heung-Min picked up a long ball on Spurs’ right flank and went on a forty-yard individual run, initially outpacing Jorginho and then sidestepping David Luiz to slot it past an outstretched Arrizabalaga. If Jorginho’s failure to corner Son was pitiful, even more astounding was Luiz’s pathetic attempt at defending on a one-on-one situation. 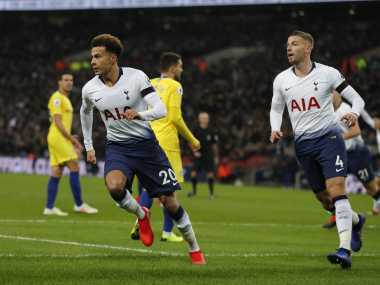 Such was the dubious state of affairs amongst the Chelsea defenders, conceding a mere three goals could be counted as sheer luck due to the waywardness of the likes of Kane and Alli in front of the goal and Arrizabalaga’s excellent reflexes. “I saw a lot of problems because we played very badly from a physical point of view; mentally, technically and tactically – particularly in the first 20 minutes. I knew very well we had a lot of problems to solve and today it was clear for everybody,” Sarri acknowledged that Chelsea have a lot of work to do, in order to be considered as genuine title contenders and it must all start at the grassroots level – unless the Blues perfect the basic tenets of defending against quality opponents, any amount of Sarriball would not be helpful for their trophy aspirations. There is no doubt that the players will take time to fully adapt a new system, but Sarri’s reluctance in playing Kante in a deeper role or to trust Andreas Christensen at the heart of the defence is equally responsible for the poor result against Spurs, one which many saw as overdue. 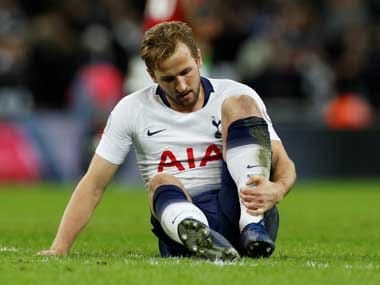 Tottenham Hotspur, on the contrary, seemed to have shaken off their early-season blues following the news of their extended stay at the New Wembley and the sordid transfer window as Kane and Co look like the team Mauricio Pochettino set out to unleash in the first place. Sarri hailed them as “probably the best in Europe” in short counter-attack and rightly so. If Lamela’s display following his late substitution was any indication, Pochettino has at his disposal a string of magicians who can not only orchestrate epic rhapsodies with their skillful repertoire, but also change the course of the game with a simple wave of the hand. “With the right attitude we need to realise we are a team who can compete at this level. The problem is when we struggle to show the real quality because we have a lack of aggression and the right attitude and then it is difficult to perform the way we did today,” Pochettino opined after, his only task at present to keep motivating his homegrown stars to continue putting on such brilliant displays.